Contemporary photo montage of natural elements. 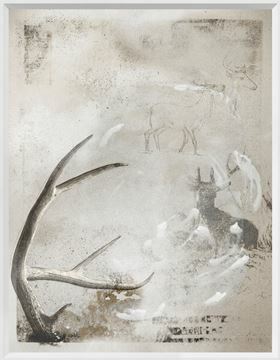 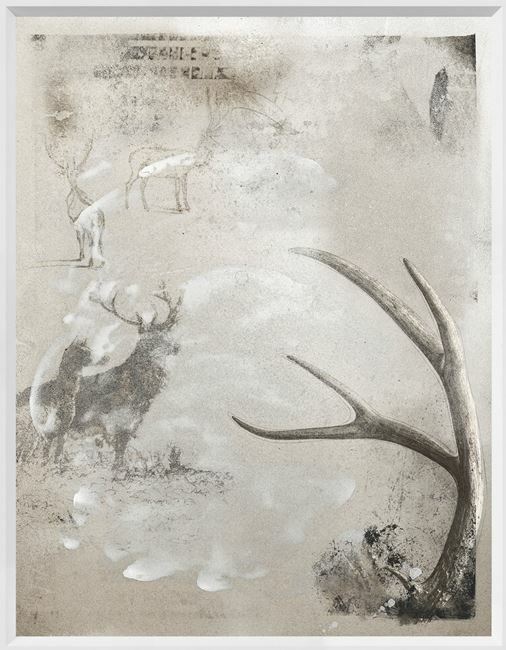 Celadon has combined the natural elements of deer antlers with fine pencil drawings, whitewash and textures for a fresh take on Modern Farmhouse. Simply framed in an angled white profile.